Via de Lerry is one of the most beautiful roads in the world, a winding series of switchbacks that descends from towering hillside heights to miles of pristine golden sand beach. There is no traffic, merely breathtaking sun-splashed scenery, dominated by wave after wave of azure waters extending towards a distant horizon. One might easily mistake this incredible drive for a particularly picturesque stretch of the French Riviera, but no: Via de Lerry is the entrance to Quivira, an oasis of gracious living on the Pacific Coast of Cabo San Lucas. Quivira is a 1,850 acre master planned coastal development in Cabo San Lucas that includes three luxurious resorts – the adults-only Pueblo Bonito Pacifica, the family-friendly Pueblo Bonito Sunset Beach, and a 120-room St. Regis scheduled to open in 2021 – as well as the upscale residential communities of Novaispania, Montecristo Estates, Copala and Coronado. 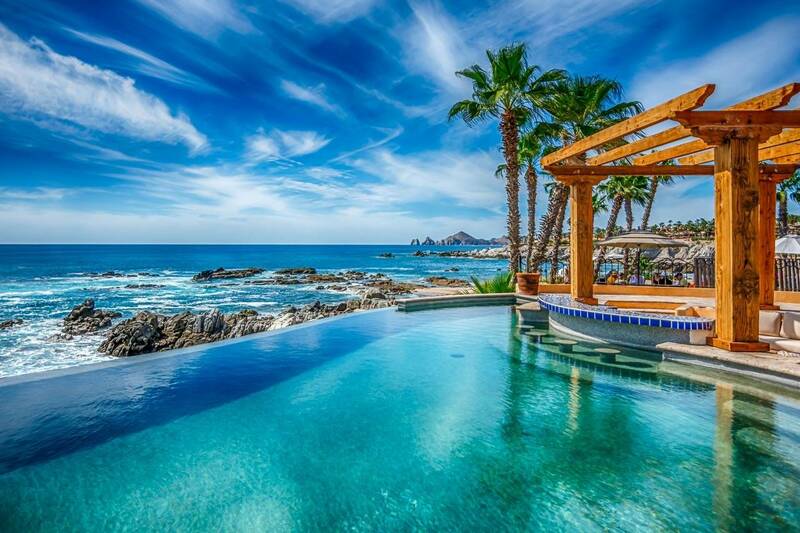 The development is the brainchild of Pueblo Bonito Resorts founder Ernesto Coppel, and is notable for its elegant contemporary Mexican architecture, artistic accents and high-end amenities….and of course for its magnificent surroundings, which include seasonal sightings of migrating whales. 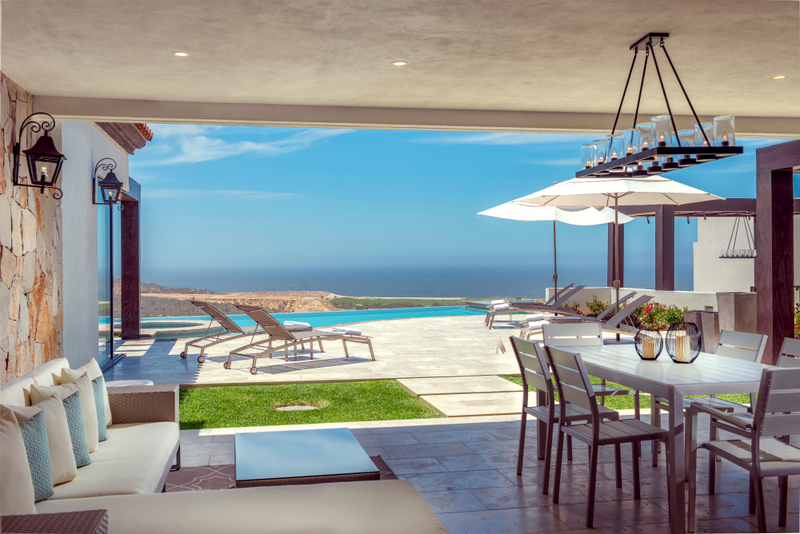 Quivira is currently home to some of the most exciting destination living opportunities in Los Cabos. Set on 30 acres of gently terraced land near Copala, the new Coronado development, for example, showcases 68 artfully designed, exquisitely appointed single-story residences. 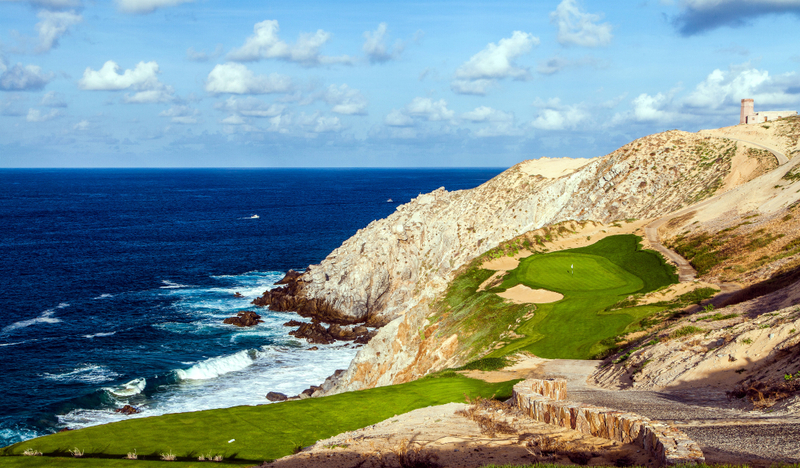 Exclusive three-, four- and five-bedroom homes, ranging in size from 3,000 to 4,500 square feet, overlook the Pacific Ocean as well as the stunning par-4 third hole at Quivira Golf Club. 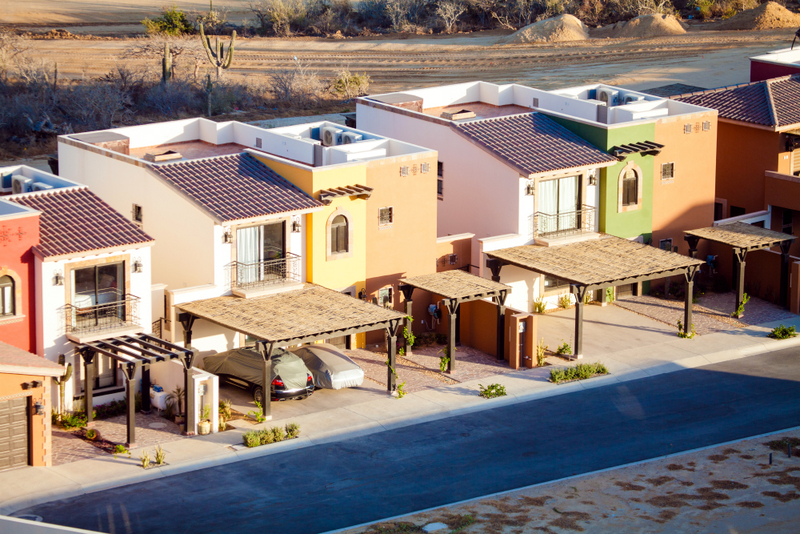 It is the only new residential community in Los Cabos to boast both ocean and golf course views. In addition to the scenic views, Coronado residences offer stylish features like open floor plan living and dining areas, multiple outdoor terraces, swimming pools, and large fully-equipped kitchens with granite islands; plus home necessities such as central air conditioning, laundry rooms with washer and dryer, and enclosed two car garages. Owners are also eligible for special dining and spa privileges at nearby Pueblo Bonito Resorts, and at Quivira Golf Club and its adjoining Steakhouse. Coronado’s first phase, occupying 15 acres, is expected to be completed in 2018. Quivira is a world unto itself, a private gated community that feels far from the rollicking nightlife of downtown Cabo San Lucas. In reality, it’s only a 10-minute drive from the downtown area, and conveniently close to popular shopping centers, activities and attractions. Quivira is also a relatively short drive from the Cabo San Lucas International Airport, and not far from the lightly traveled toll road that connects to the Los Cabos International Airport in San Jose del Cabo. Quivira has plenty to offer beyond luxurious lodgings, from gorgeous nature preserves to over 20 miles of walking and biking trails. The most remarkable amenities, however, are a sprawling culinary marketplace unlike any other in Los Cabos, and one of the most acclaimed golf courses on the planet. 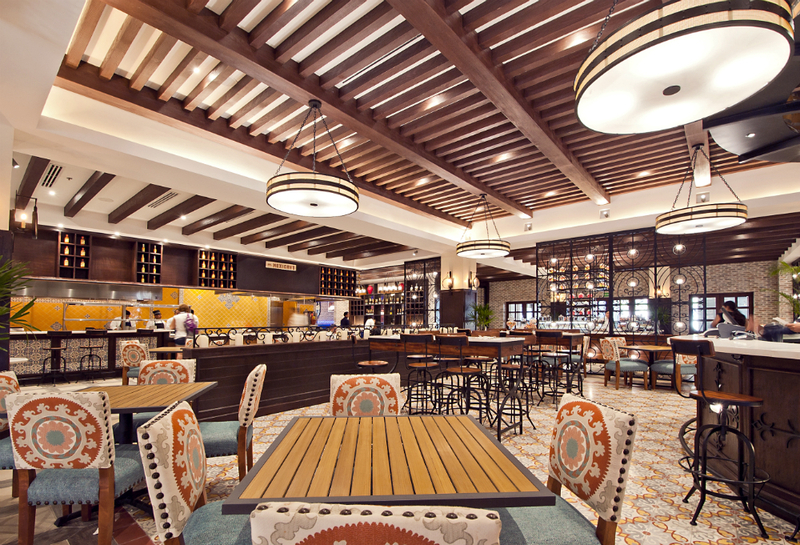 The Market at Quivira, unveiled at Pueblo Bonito Sunset Beach in 2017, was inspired by the world’s great food halls, including those of The Plaza Hotel in New York and Harrods in London. The 15,000 square foot “foodie” concept welcomes up to 450 diners, and features a spectacular collection of boutique grocery and dining options. 1950s Diner– This quintessential American-style diner, accented by red-and-chrome décor, offers hamburgers, hot dogs, fried chicken, milkshakes and homemade desserts. El Asiatico– Asian cuisine is well-represented by a wide range of dishes, from traditional miso soup and Szechuan-style shrimps to delectable dumplings and other examples of Asian street food. La Creperia & La Heladeria– In addition to 24 flavors of homemade ice cream and gelato, visitors enjoy the best sweet and savory crepes in Los Cabos. El Deli– The bustling New York-style deli features classic sandwiches, made from freshly baked bread and topped with premium meats, cheeses and condiments. El Italiano– Homemade pastas, traditional lasagna, a mouth-watering variety of brick oven pizzas, and decadent desserts distinguish El Italiano. La Huerta– Specializing in fresh organic foods, ‘The Orchard’ offers top-quality salads and vegetarian entrees, from a Portobello mushroom stuffed with quinoa and ceviche to a roasted beet salad served with blue cheese, arugula and walnuts. El Mexicano– A wide range of Mexican dishes is available here, from traditional sopas and tacos al pastor to chiles en nogada–poblano chilis filled with shredded meat, aromatics, fruits and spices. 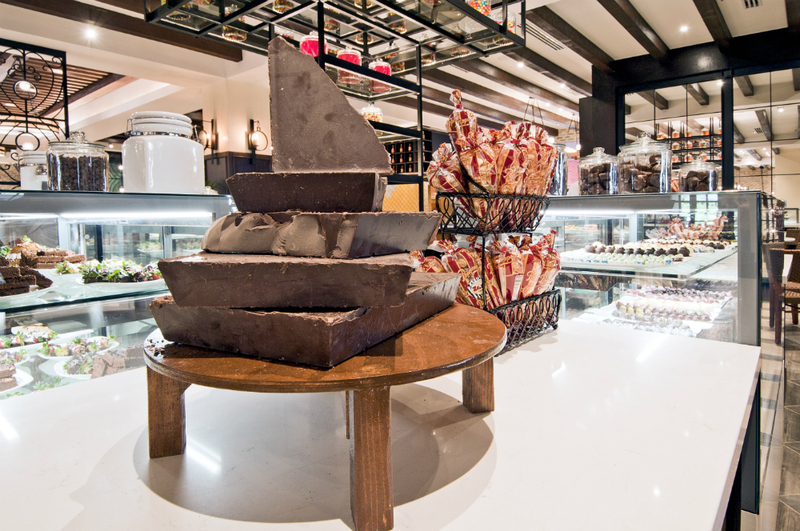 La Chocolateria – Situated near the entrance to The Market, this signature outpost artfully displays the finest-quality truffles, chocolates and macarons. El Bar –The Market’s eye-catching circular bar shows off a 360-degree panorama of restaurants and food stalls, and offers a wide array of artisanal beers, fine wines and top-shelf spirits. La Cafeteria– This popular gathering spot offers custom-blended international coffees, fresh-baked muffins, cupcakes and cinnamon rolls. The ne plus ultra of Quivira amenities is the championship-level layout from legendary champion Jack Nicklaus. It is, quite simply, a masterpiece. The 7,085 course hugs the coastline – 7 holes are situated cliffside, and all 18 feature dazzling ocean vistas – wandering around windswept dunes or carving through dramatic desert foothills. Even the practice facilities offer breathtaking views. 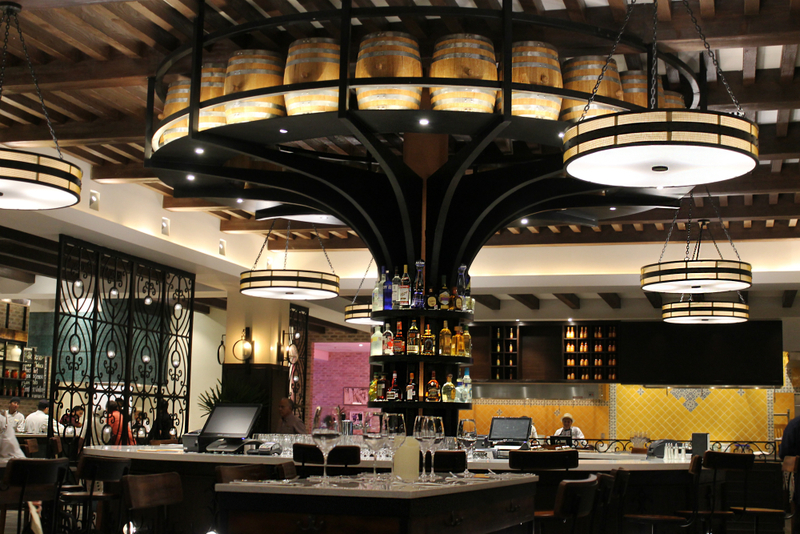 Four mid-course comfort stations offer refreshing food and drink, and the clubhouse adjacent Steakhouse at Quivira serves up the choicest cuts, and pours some of the finest wines available in Los Cabos. A second course from Nicklaus is also on the way, with work scheduled to begin during Summer 2019. 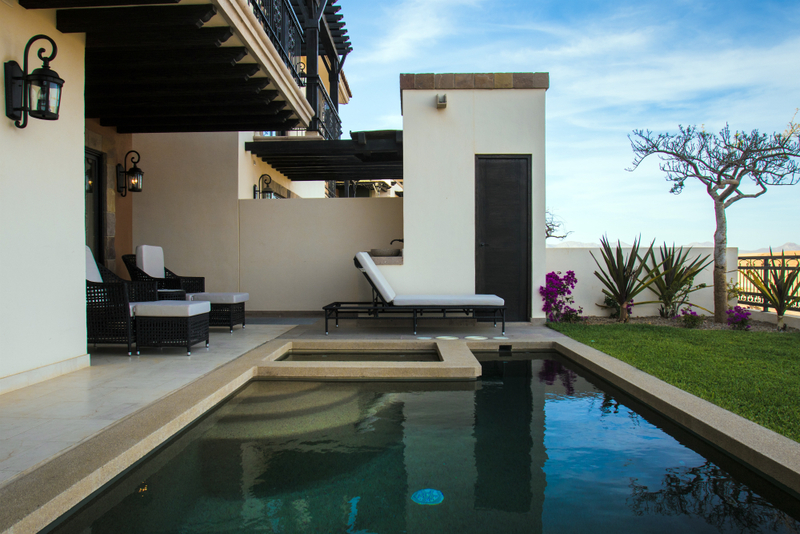 The role of Windermere Los Cabos Real Estate in relation to this property is that we can only represent buyers, and in that capacity we’ve been accredited as a Buyers Representative at absolutely no additional cost to you. We can only represent your interest in purchasing at Quivira, and we have accepted this role only after completing due diligence and approving Quivira as a safe, transparent investment.